A new trail sign at the campground in the Glorieta Conference Center makes it easy to figure out where to go. Head towards the Ghost Town. If you park your car at the dirt lot by the I25 at the Glorieta exit, you ride your bike up to the gate – and hopefully right on through. 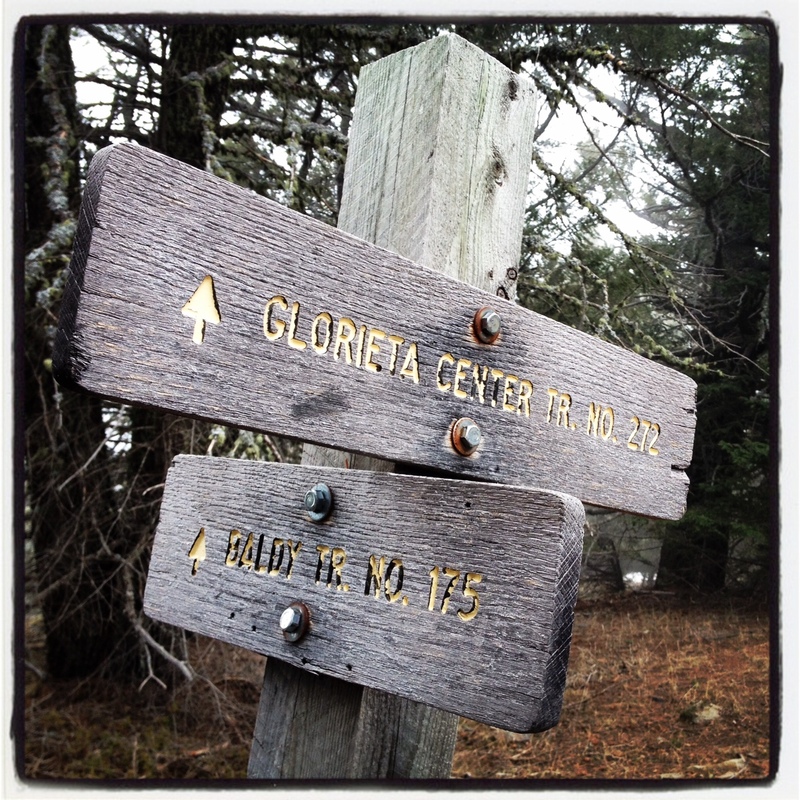 The trailhead is all the way to corner of property by the campground (take Oak St. to Apple St. I believe). Zoom in on this strava map to see where it is. This ride is best done counterclockwise. 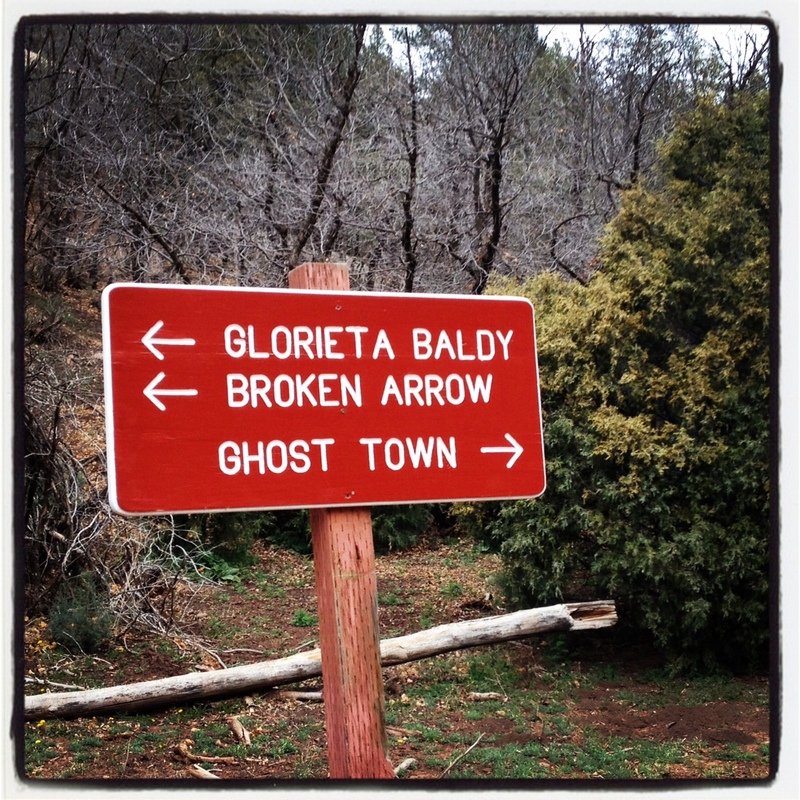 Climb up the Ghost Town Trail. Why is it called the “Ice Cream Cone Loop”? Duh, look at map. 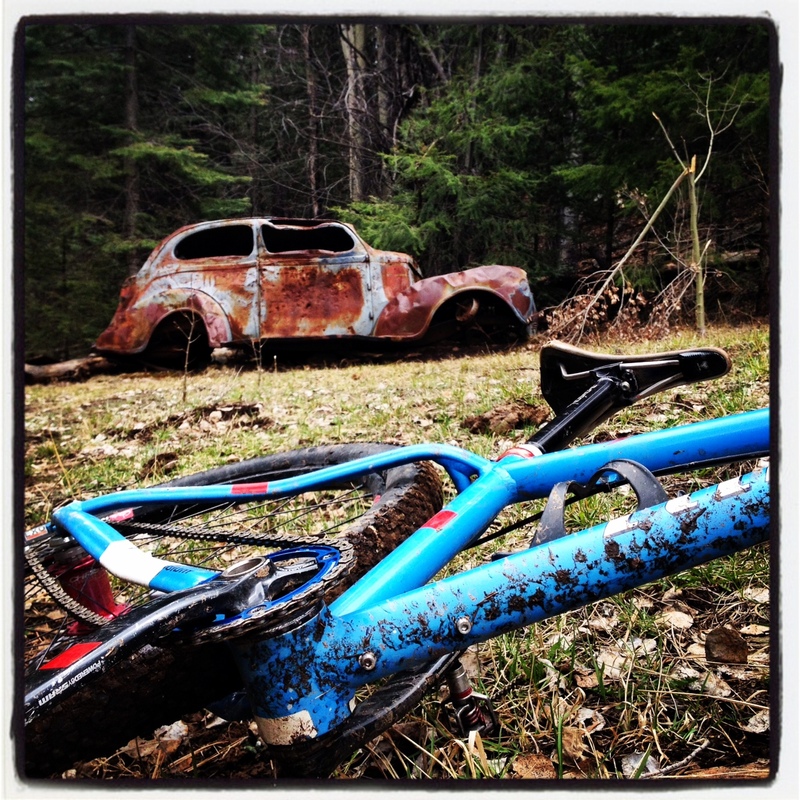 At the time of year when I rode this (April) – the trail was in pretty crappy condition. Recent snowmelt and a windy winter meant lots of downed trees and logs and other such stuff. With a little maintenance, these trails could be pristine. You start by going over a few stream crossings (nothing too deep) and gaining lots of elevation. You pass a few rusted cars, and if you take a break and head off trail, the faint remains of an old “ghost” town are apparent. As you get towards the top of the climb… before hitting the main fire road – it gets VERY steep. Hike-a-bike steep. It’s mostly doubletrack with some singletrack sprinkled in. It’s a well-worn trail from hikers and equestrians in the lower sections, but as you get higher, you get a sense of “remoteness” even though you’re never too far from civilization. Finally, right when your lungs are about to burst, you reach the fire road where you make a left. Not too much farther up are a couple picnic tables and one more left turn up a climb where you see the Fire Lookout Tower. You made it!! This is the top of the climb and the summit of Glorieta Baldy at 10,199′. By the time I reached the Tower, the weather had changed and a storm had rolled in. Visibility went to zero, and the temps dropped uber-fast. I snapped a couple of pics and quickly started descending Trail 272 back to the Conference Center to beat the deluge. The first part of the descent was a brake scorcher with steep and sharp switchbacks and some sweet singletrack and techy rock gardens drizzled in to keep your senses aroused. There were some fun, fast sections here- but unfortunately there were so many downed trees in the trail, I constantly had to stop to throw my bike over them, messing with the flow and I was pretty annoyed. One good trail clearing day would make this descent a ton of fun. It’s unfortunate this area doesn’t get the “love” it used to. Before the Dale Balls, and La Tierra Trails, etc – this area was ridden way more. But now with all the modern trail systems built right in town, not as many people are motivated to ride out here, and it doesn’t get the traffic it once mustered. Once you near the bottom, there is a great section of slickrock as you’re getting back into the Conference Center – that was an unexpected blast to finish the ride off right! 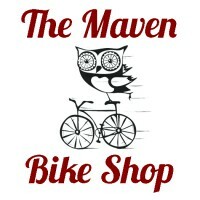 This ride is not singlespeed friendly. 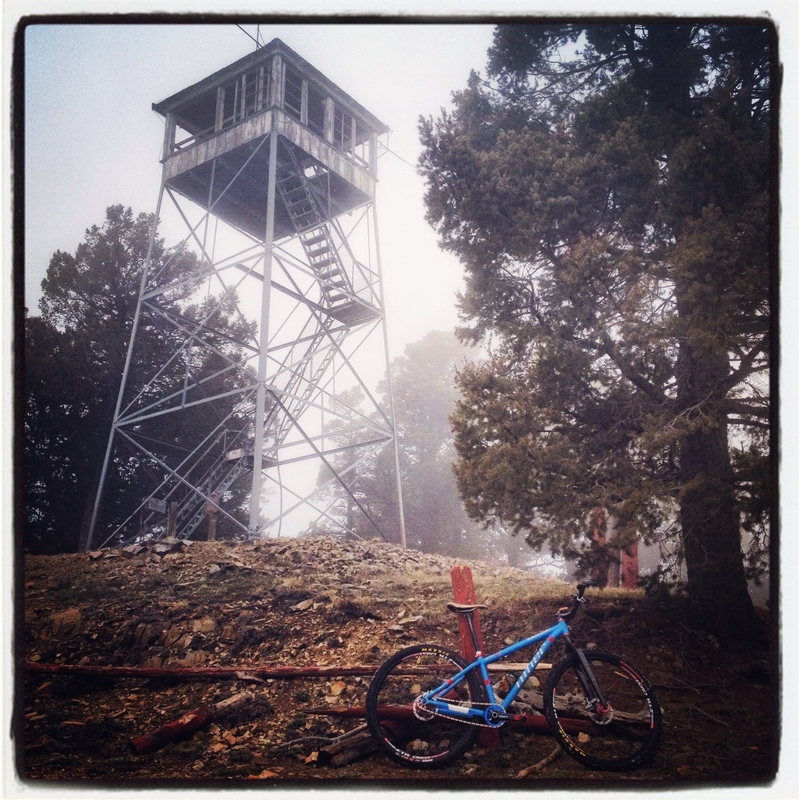 Steep, punchy climbs = lots of hike a bike – kind of like Atalaya Mountain Trail in the Dale Balls. It’s also not rigid friendly. You’d be better off with some squish for the descent. I would do it with a fully next time. With some maintenance, this would definitely be a glorious loop. It feels like a bunch of hippies built it in the 70’s with no thought of bikes, but it still has the “remote charm” that you don’t get with the more “urban” trail systems. If you’re looking to work your lungs and legs and enjoy techy, fast downhill… by all means, this is a Santa Fe “right of passage” type ride. All in all, it’s about 3,200′ of climbing over 15 miles. Definitely not for the faint of heart, but a great accomplishment for anybody that conquers it. Ride on! This entry was posted in Favorite Rides and tagged baldy, conference center, fire tower, ghost town, glorieta, mountain biking, new mexico, santa fe, single speed. Bookmark the permalink.